Last updated by Frankye at November 7, 2013 . 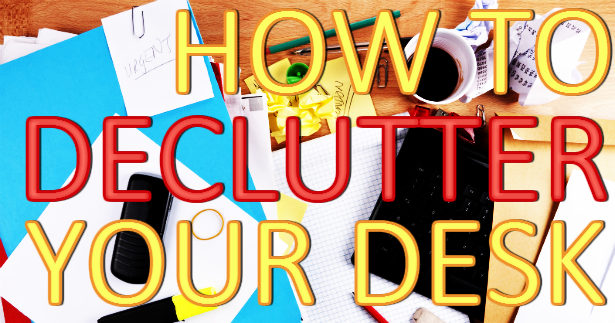 Got a messy desk & cluttered office? Check out these easy tips on getting organized & learn how to declutter your workspace. Maintaining a neat and organized work or home office desk is a challenge in today’s busy world, but one well worth undertaking. It’s demoralizing to face a messy desk at the beginning of a work day. It’s uncomfortable to work at. A messy desk is also a drag on productivity. Trust us: you get a lot more done if you don’t have to go on a five minute hunt every time you need to locate an errant file or fresh pen. Lucky for you, Office Ink has a few tips on getting organized. Follow our advice and have smoother, more productive workdays. If you’re reading a blog post on how to declutter a messy desk, the answer is no, you do not have adequate office shelving. Hey, we don’t blame you. Bob Vila is probably the only person in the world who enjoys hanging shelves. But you don’t have to be America’s Handyman to add more shelving to your office. Just stack a desk top shelf or two on top of your desk and use it to store your reference books, file storage boxes, surplus stock of office supplies, etc. Add a few knick knacks and framed photos of your family. Now, you’ve not only taken the first step to organizing your messy desk, you’ve added style and personality to your office. The shortage of Fellowes shredders continues. Fellowes has not been able to bring new shredders in from China since the fall of 2010. The company continues to work with the Chinese government and their shipping products to get the shredders to the US. Of course, that is little comfort if you need a Fellowes shredder now. Many business office equipment dealers have run through their stock of Fellowes shredders and OnTimeSupplies.com is no exception. Though Office Ink’s favorite online office supply store still has several models of Fellowes shredder ready to go, there’s no denying that the stock is getting low. If you wait too long to buy the new Fellowes shredder you need, you’ll have to settle for another paper shredder brand. We recommend GBC shredders. Like Fellowes, GBC makes top-quality shredders in a range of styles and capacities to meet the needs of any office. Even better — GBC shredders often cost less than Fellowes shredders. But best of all, all GBC shredder styles are available for immediate shipment from OnTimeSupplies.com. Use this guide to compare Fellowes paper shredders to GBC shredders and find what you need. For more general tips on picking out paper shredders for business and home offices, check out the Shredder Guide at OnTimeSupplies.com. Have you been reviewing products at OnTimeSupplies.com? If not, you’ve been missing out a great chance to win $100 worth of free office supplies, office furniture and business office equipment. We’ve just picked the December winner. Congratulations Grace! For your chance to win a $100 coupon code from OnTimeSupplies.com, enter the Product Review Contest today! 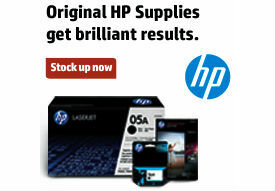 2011 Clearance Sale: get up to 86% off discount office supplies & office furniture. Happy New Year! I hope you had a great holiday and that you have a wonderful 2011. Oh, and good luck keeping your New Year’s resolutions! I’ve resolved to exercise more — for at least as long as it takes to work off what I put on over the holidays. That’s just a sample of the great bargains you’ll find at the 2011 clearance sale at OnTimeSupplies.com. Are there better ways to ring in the new year than with discount office supplies, discount office furniture and discount business equipment? Office Ink says no! Order online now or call toll-free at 1-866-501-6055. Happy bargain hunting and happy New Year!